Gelato and Sorbetto. Our signature treats at The Perfect Scoop. Enjoy a scoop or two today. Savour a fresh creamy goodness made with only the finest ingredients and care to our recipes. Fall in love with our consistently great tasting gelato from years of experimenting and fine-tuning our artisanal gelato recipes. Enjoy a perfect scoop of freshly made sorbetto. Our frozen dessert is a healthy dairy-free treat that is made fresh daily. Find your choice of sorbet flavours made with fresh ingredients for a flavour profile you will love. 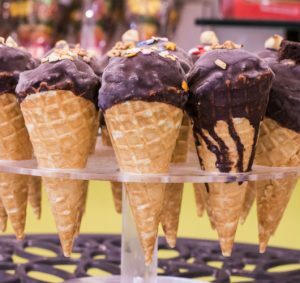 If you are only looking for a small treat, try one of our Gela-tinnie, a scoop of gelato on a small waffle cone dipped in Chocolate. If you are on the run, take your Gelato & Sorbetto to go. Our take-out tubs allow you to take the fresh creamy goodness with you. We are passionate about quality. 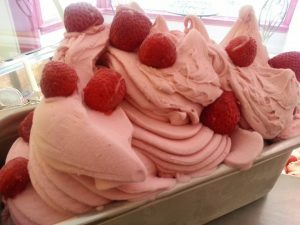 Our gelato and sorbetto are made daily for maximum freshness and taste. After all, if it is not fresh, it is not perfect for us. And we won’t sell it to you. 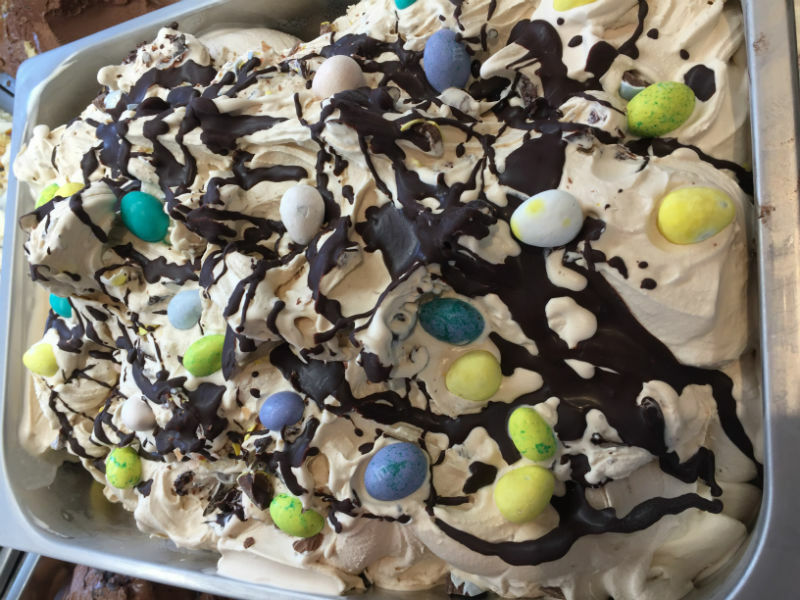 We use locally sourced natural ingredients in all our sorbetto and gelato creations. Our flavours are based on the unique tastes of our fruit combinations with no artificial additives. Refreshing sorbetto and gelato creations perfectly blended for smooth flavours and exotic taste. Enjoy inspired flavours from our attention to ingredients for exquisite flavours you will love. 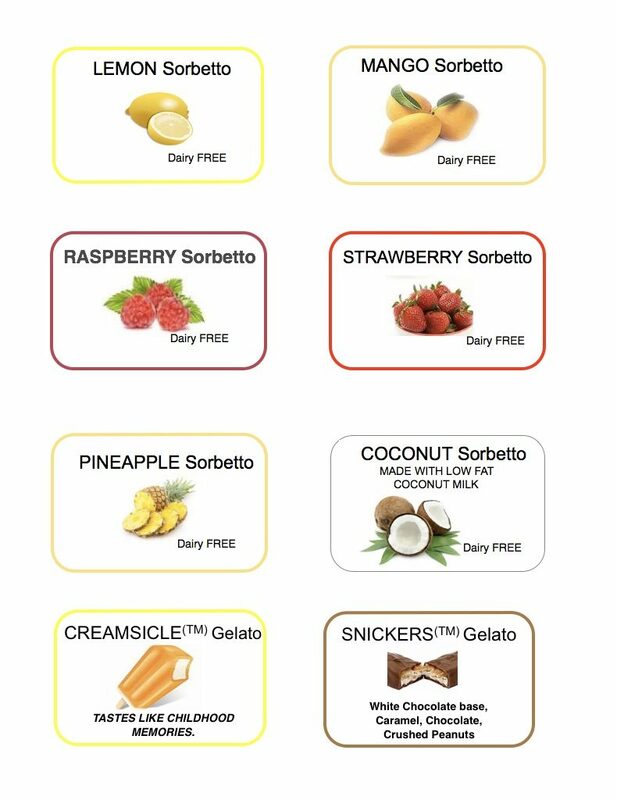 *Our available sorbetto and gelato flavours are seasonal and rotated. They can also change based on holidays and customer preferences. And we cannot guarantee that all flavours will be available daily. Visit us in Port Perry for your perfect scoop of gelato or sorbetto.